Tisdale Doubles, Mathews scores 1st! 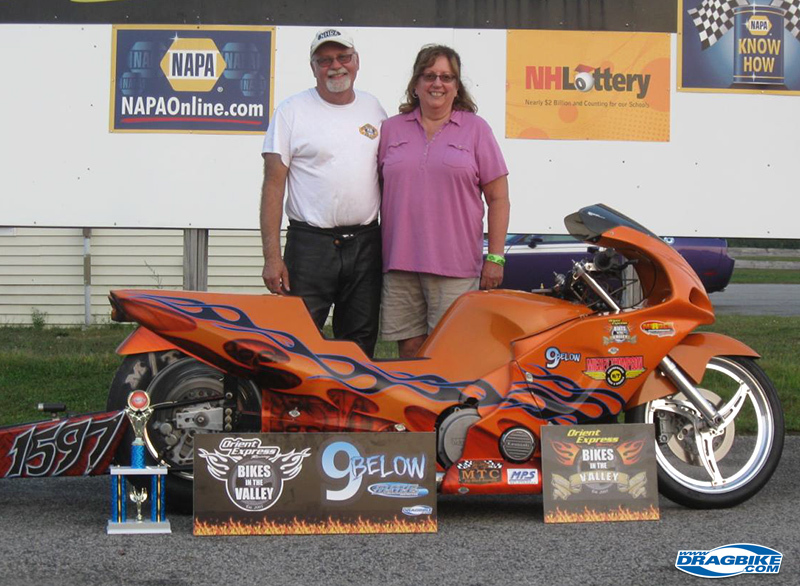 Breaker Bikes sponsored the Orient Express Bikes In the Valley excursion to New England Dragway. 85 aficionados competed on the hallowed NED National Event grounds. 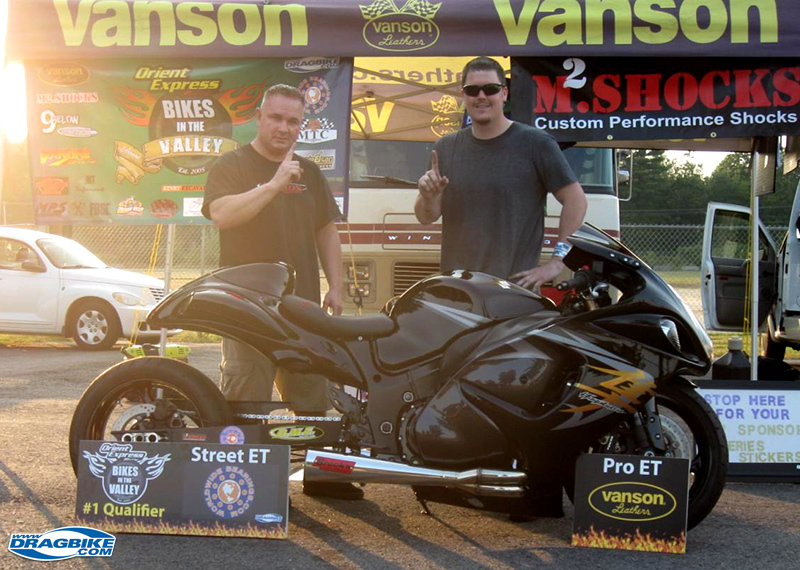 Ryan Beardsley (CT) nailed the World Wide Bearings #1 Qualifier in M2 Shocks Street Bike w/a trip zip .000 perfect light on his Johnson Performance Hayabusa. 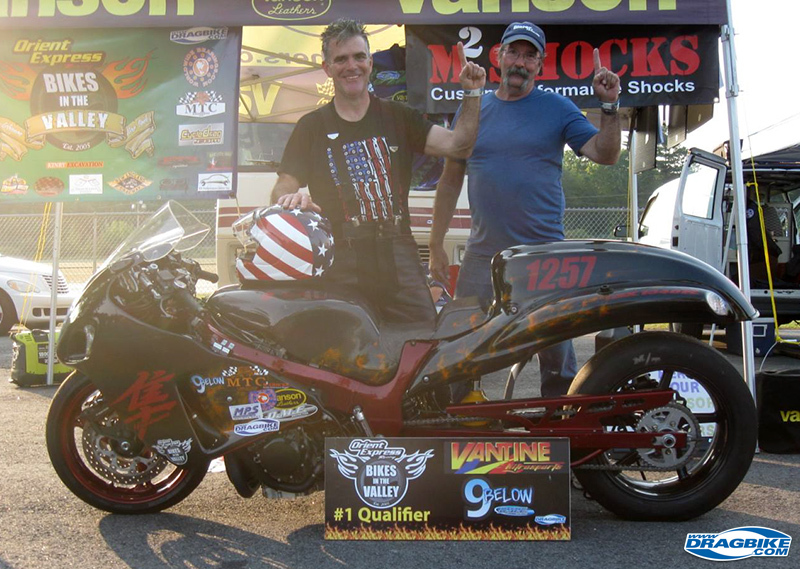 Tom Peterson sped to the Vantine Imaging #1 Qualifier in DME 9 below, 7.57 @ 187.5. No Bar Busa. 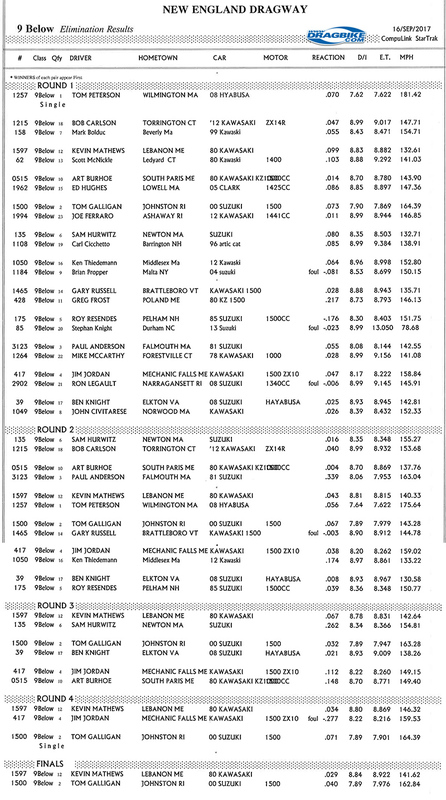 M2 Shocks Street ET had 32 competitors. Double O and Teen Lights were popping up. Dave Nadeau (NH) and Jonathan Tisdale (CT) battled in the final. Nadeau had the RT advantage, Tisdale ran closer to his dial-in for the win. 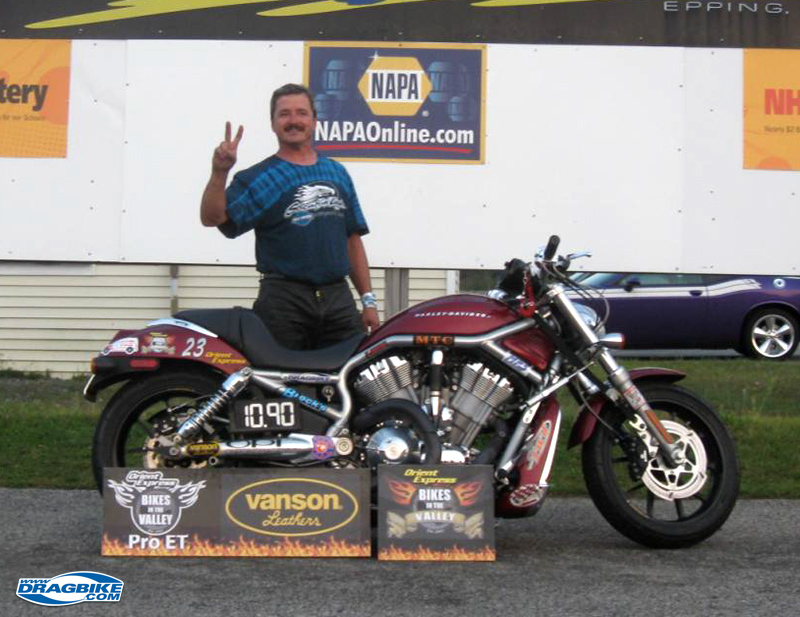 Vanson Leathers Pro ET featured 31 street bikes, dragbikes and sleds. From the semis on it was all street bikes. Jonathan reigned supreme. 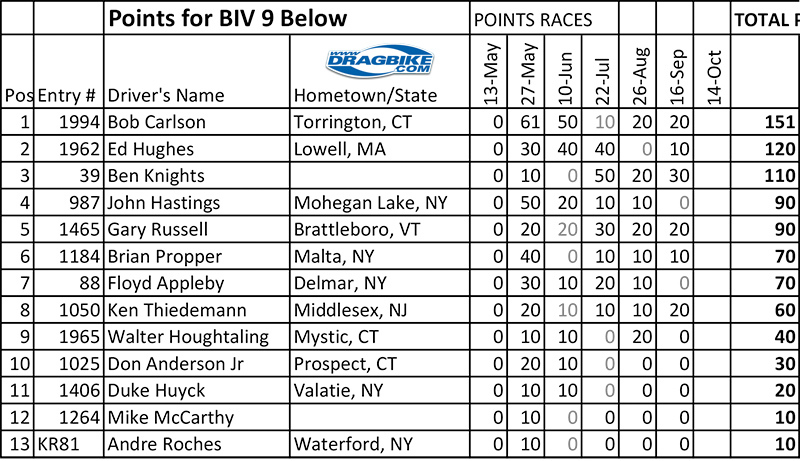 Jonathan kept his composure, in his 2d final, and took out Rich Kopec’s Harley VRod for the BIV double win! 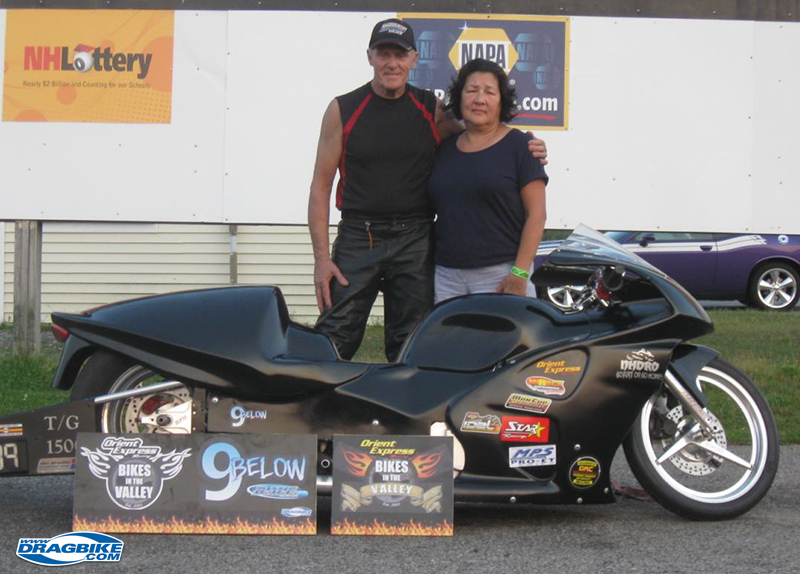 DME Racing 9 Below had 23 Dragbikes, fast no bar bikes and a sled. 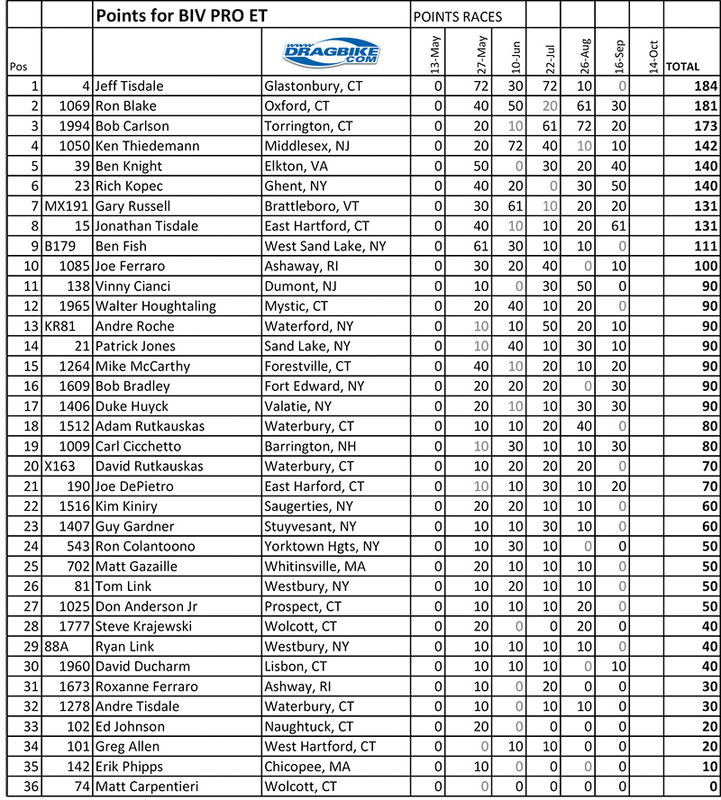 Tom Galligan (RI) had the bye into the final. 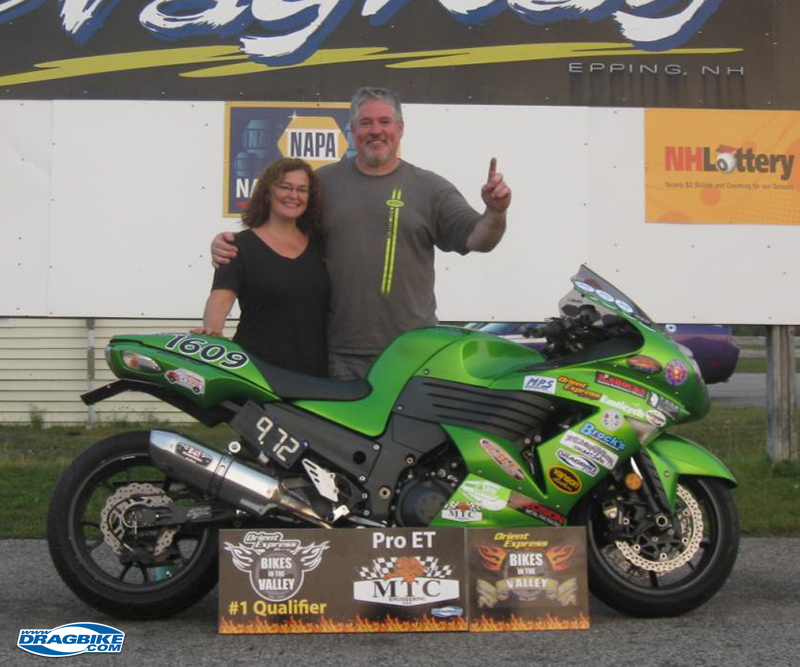 Kevin Mathews and Jim Jordan staged a battle of Kawasaki dragbikes from Maine, in the other semi, w/Mathews moving on. Mathews got the light on Tom and took the win. This gave Kevin Mathews an indelible smile in the Winners Circle that probably lasted all the way back to Lebanon, Maine! 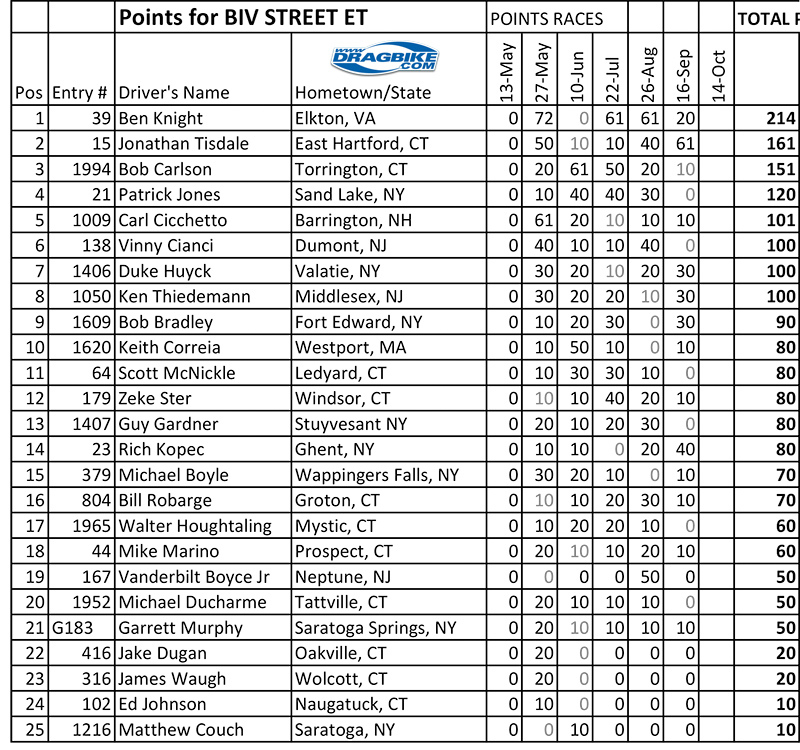 Vanson Leathers Pro ET Runner-Up (and Street semi). 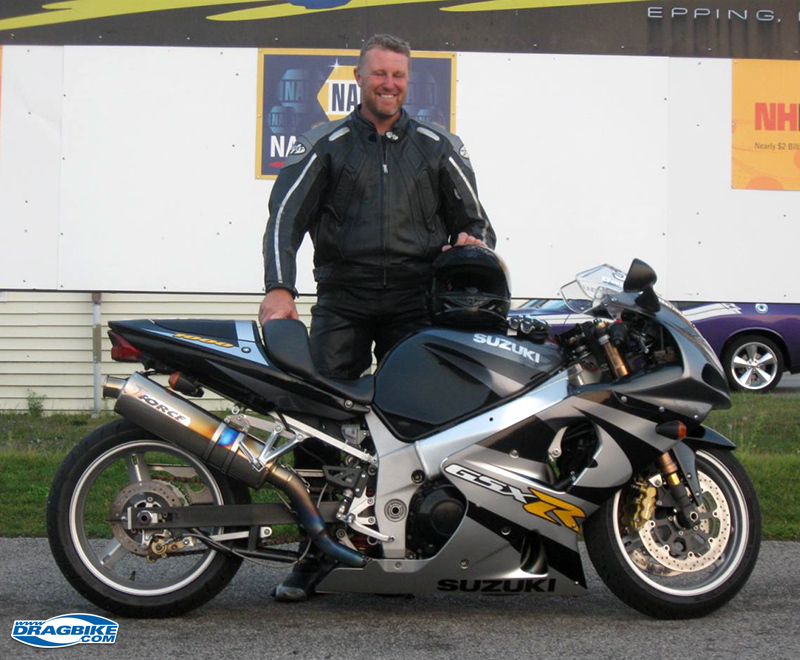 Rich Kopec Ghent, NY Harley VRod. B.o.b gave Rich the “Best Burnout” vote. 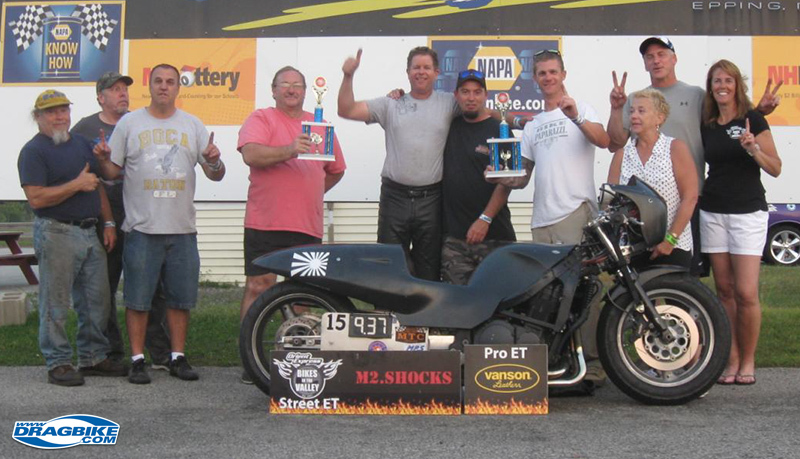 M2 Shocks Street ET R/U Dave Nadeau (Raymond, NH.) 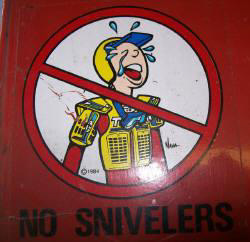 GSXR 1000. Representing the hood. 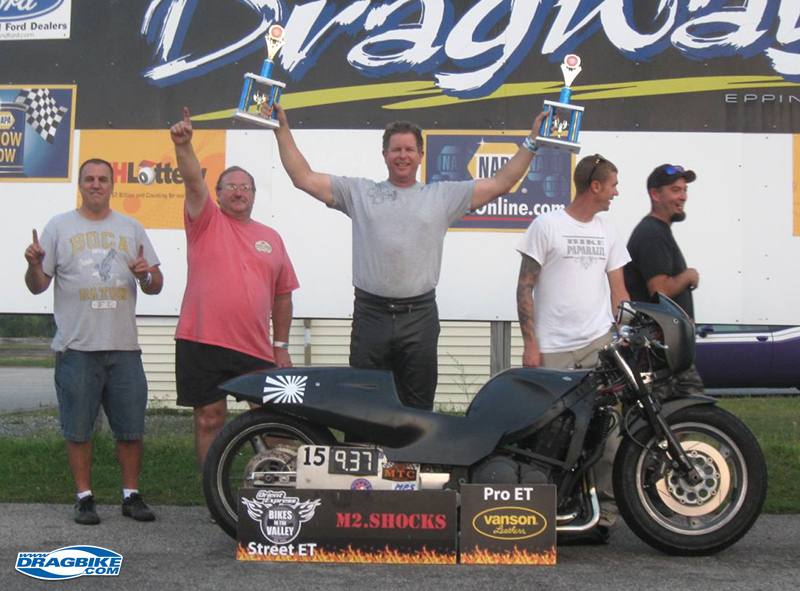 Next race Oct. 14, Lebanon Valley Dragway.